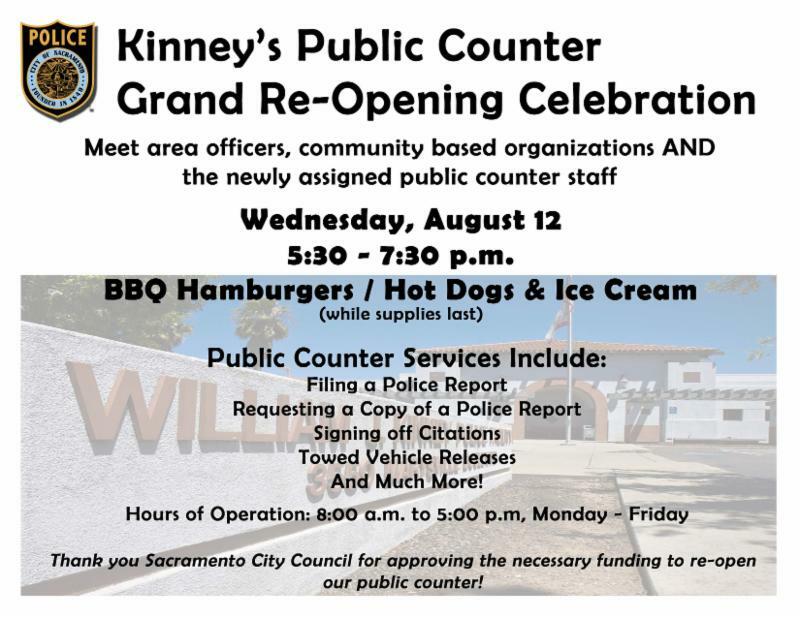 The Sacramento Police Department will host a grand re-opening celebration for the public counter at the William J. Kinney Police Facility on Wednesday, August 12, from 5:30 p.m. – 7:30 p.m. Requesting a copy of a police report. The counter’s hours of operation are 8 a.m. – 5 p.m., Monday – Friday. 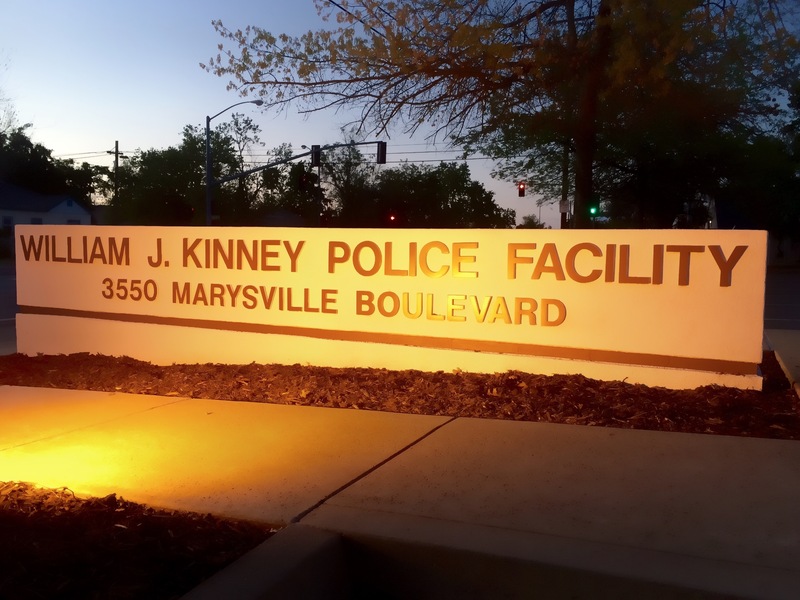 Wednesday’s grand reopening celebration provides the community the opportunity to meet area officers, community based organizations, and the newly assigned public counter staff. BBQ hamburgers / hot dogs and ice cream will be provided while supplies last.